Mercy Super’s default MySuper Balanced option was ranked #1 for the 12 months to 30 September 2018 against super funds with a similar investment profile (SuperRatings SR50 (60-76) Index1). Being ranked #1 for the year is great recognition of the focus and effort placed by the Mercy Super team in delivering on our investment philosophy. It hasn’t been an overnight success and we’re more focussed on consistent performance – delivering real value to the super of our awesome members. On average, Mercy Super’s members have been with us for 8 years, in fact one-third have been with us for over 10 years. Consistently delivering over time is particularly important for our membership community, making a big difference to the outcomes they enjoy in retirement. 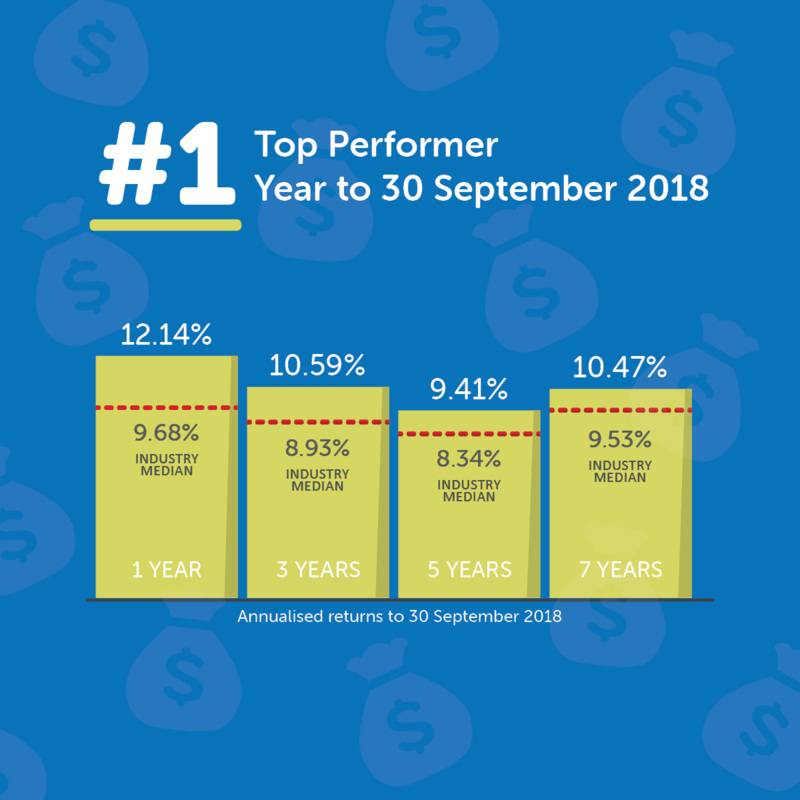 Pleasingly, in addition to being #1 over 1 year, the returns for our MySuper Balanced option were ranked #3 over 3 years and #5 over 5 years to 30 September 2018 against all funds within the SuperRatings SR50 Balanced (60-76) Index1. Mercy Super is one of only a handful of super funds that have achieved sustained outperformance over these periods. 1 Industry median according to SuperRatings at superratings.com.au. Past performance is not indicative of future performance. Issued by Mercy Super Pty Ltd ABN 98 056 047 324 AFSL 418976 Trustee of Mercy Super ABN 11 789 425 178. The information provided is of a general nature only and does not take into account your individual financial situation, objectives or needs. Accordingly, before acting on the information, it is important that you consider the appropriate Product Disclosure Statement, available from mercysuper.com.au or by contacting us, having regard to your own particular situation.